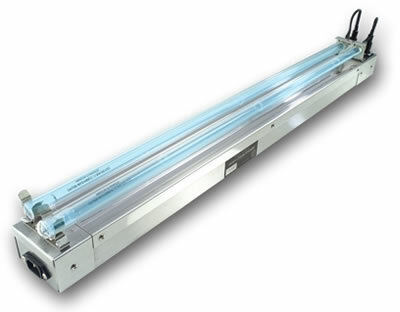 CC Series High-Output UV systems are designed specifically for UV disinfection of cooling coils in HVAC applications. 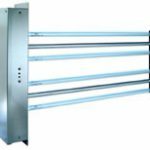 The UV systems can be mounted in various configurations to irradiate cooling coils and drain pans and for optimum air decontamination. 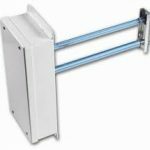 Individual UV fixtures can be mounted to plenum walls or multiple fixtures can mount to frame assemblies that span supply ducts or cooling coils. 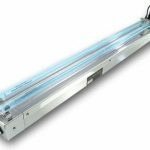 PEK UV germicidal fixtures are designed specifically for fan coils, Packaged Terminal Air Conditioners (PTAC), classroom unit ventilators, packaged split systems and other similar room units. 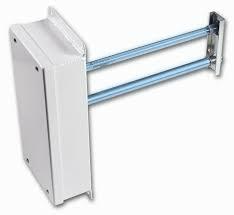 The PEK UV systems use practical and effective UVC technology to overcome the Indoor Air Quality (IAQ) challenge other small in-room packaging equipment hasn’t been able to solve because they’re often equipped with low-efficiency filters that cannot effectively capture infectious contaminants or mold. 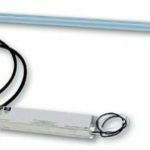 The NC (NEMA 4X) high output germicidal UV Systems are mounted externally with only the lamp(s) inserted in the air handler or duct to disinfect the airstream. 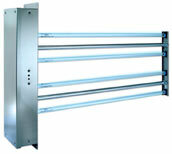 The NC systems include weather-resistant NEMA 4X housing that makes them ideal for outdoor HVAC units.